From offices in Skagen and in Kristiansand Niels Dal searches the need for impartial energy advice, and in a year and a half he has created a company that serves customers in Norway - and in North Jutland. “In many cases, millions of kroner can be saved on the operation after an energy screening and energy changes has been made. In other words, costs that become bottom line. That's the one thing. The other is that green energy sources have become cheaper to utilize. So there is profit for both company and environment,” says Niels Dal, engineer and owner of NOENCO. 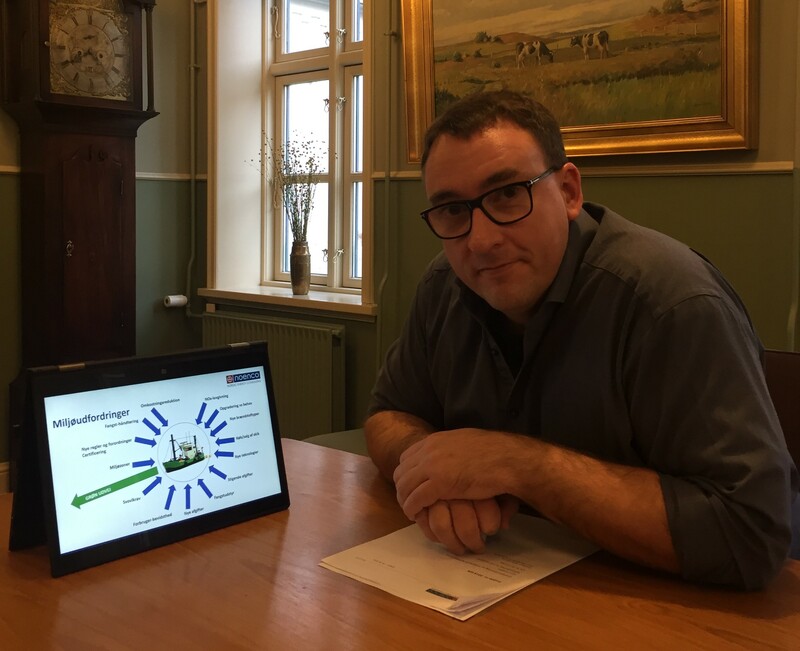 Nordic Energy Consulting, NOENCO, is one of the Energy City Frederikshavn Municipality's 150 green companies, and at the same time they contribute to creating even more. NOENCO advises fishing, shipping and industry on where the potential for energy optimization lies and how it’s carried out. For example, a fisherman who must have renovated or newly built a vessel. For him it pays to ensure that the latest knowledge about energy solutions is used on board. With fish, as with all other products, there is an increasing demand for sustainability, and it plays a crucial role if the vessel uses battery power instead of the traditional diesel engine. "The green profile in fishing and in industrial companies is as important for the end user of a product as economy and price. For example, sustainable trawlers can get a better price for the catch because consumers increasingly choose fish with the least possible environmental impact. The same goes for all other goods and services. When we help a hotel cut back on excess energy consumption, the hotel chain uses it to attract customers. And as a tool in their green story,” says Niels Dal. “We no longer need to justify why there is a need for a green transition. It’s a common agenda. That’s why it is important to point out that it is also about getting first. There is a great potential for many more companies to think through workflows, look at buildings and give the climate impression a critical look for optimization. Every time we do an active action, it makes a difference to the green accounts - and to the market,” says Poul Rask Nielsen from the Energy City of Frederikshavn Municipality. NOENCO expects to be able to expand its business. Both the maritime and industrial production must relate to and control SDG, the UN's 17 world goals, subsidies and new legislation in the environmental field. At the same time, new technical solutions and opportunities are constantly introduced. “Yes, you can say that NOENCO has found a hole in the market. It is difficult waters to navigate. Regardless of whether you are a supplier of products, service for export, or a shipowner who wants to meet the new requirements for his segment, when we assist with factual profitability calculations, environmental calculations, tax calculations and at the same time an assessment against the applicable national and international regulations, the customers get a good sense of belly. It promotes the decision-making processes in the companies, because the decisions are made on an informed basis,” says Niels Dal.